Can't contain excitement at penalty shootout victory. 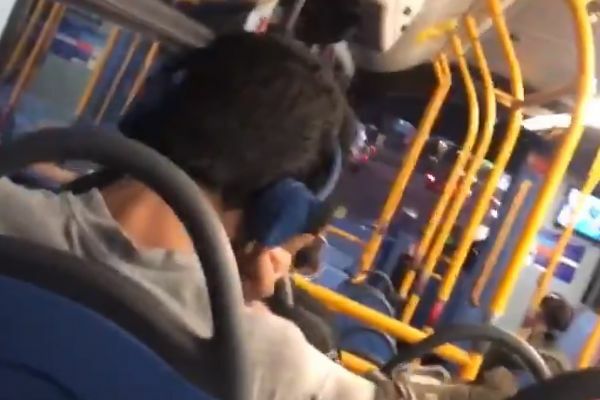 An England fan watching and listening to the Round of 16 match against Colombia on the bus shouted and cheered with delight as they won on penalties. Quite where he had to get to during such an important game is not clear, but he celebrated enthusiastically as England reached the World Cup quarter-finals. They will now face Sweden on Saturday, with a semi-final against Russia or Croatia awaiting the winners.